Editor's Note: "Kicking It," a documentary about how the game of soccer is helping combat the worldwide homeless crisis, debuts tonight at 9 ET and continues Wednesday at 10 p.m. ET on ESPN2. 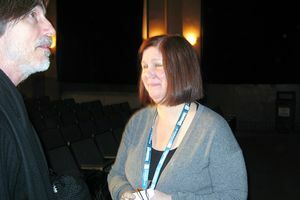 Kevin Carroll went to the Sundance Film Festival for the film's premiere and filed this report for Page 2 in February. Carroll is a regular contributor for ESPN.com, chronicling how the power of sports can positively impact society. There are 1 billion homeless people in the world today. The Homeless World Cup is a soccer tournament that hopes to call attention to this crisis and help end it. The annual event features teams comprised entirely of homeless players, all experiencing the pride of representing their country in an international competition. The new documentary film "Kicking It," directed by Susan Koch, shines a spotlight on the Homeless World Cup by sharing the raw, evocative stories of how training for the 2006 tournament transformed the lives of seven marginalized young men. The film attempts to answer one key question: Can passion for the game of soccer be a catalyst for a renewed sense of purpose, increased self-esteem and re-engagement with society? Kevin Carroll is a catalyst for the power of sports, focusing on the positive impact of the games we play. To share a positive story with Kevin or offer a comment, visit his profile page. To contribute to the Homeless World Cup, click here and choose a team to support. The film goes on location for each story, spending day and night with each of the seven aspiring players in six different countries. The settings change -- from a lean-to in the woods, to a ramshackle home, to a halfway house, to the streets and a broken-down van -- but each player has the same goal of transcending the situation through soccer. Koch tells each story with a style that is engaging and authentic. "A documentary like 'Kicking It' lets you see the stories and real-life circumstances behind the athletes competing on the pitch," Koch said at the film's debut at the Sundance Film Festival. "If you just go to or watch the Homeless World Cup competition, you might wonder if these players are really homeless. ... [In this documentary], you see where the players live and what the challenges in their lives are. We're able to witness firsthand the players' transformation as they train and compete. We see their struggles, but also their triumphs." For the players featured in the film, the goal was clear: make the roster for the fourth annual tournament in Cape Town, South Africa, and with it, earn the honor to wear their country's uniform and hear their nation's anthem before each match. It's a truly honorable pursuit -- a goal that more than 20,000 players around the world pursue in pretournament training and trials. Director Susan Koch captures the moving stories of the homeless players in "Kicking It." The players' opponents could be seen in their own reflection. The adversary comes in the forms of hopelessness, self-doubt and the overwhelming belief that one's circumstances dictate one's chances in life. "Kicking It" shows how each player has had his or her life upended by poor choices, socioeconomic circumstances, family issues or the misfortune of growing up in a region of the world locked in endless conflict. According to the event's Web site, the Homeless World Cup annually results in "73 percent of players changing their lives for the better by coming off drugs and alcohol, moving into jobs, education, homes, training, reuniting with families and even going on to become players and coaches for pro or semipro football teams." Colin Farrell, narrator and executive producer for the film, says, "Through the simple and beautiful game of football, the complex struggle to find meaning and purpose in life is being won by more than 20,000 homeless people all over the world. Football is a poem that beats in the heart of those who play it, a universal language experienced by so many and potentially a cause of great change." Of the seven stories in "Kicking It," I was instantly drawn to the plight and undaunted ambition of Alex from Kenya. Alex lives in a dilapidated community in Kenya, where his daily job is cleaning human waste out of bathroom stalls with a small bucket of water and a handmade broom. As he sloshes water into each stall that has no running water, he even finds a moment to playfully comment about what someone left behind for him to wash away -- provoking audible groans from the audience in the theater. 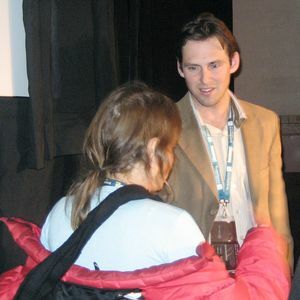 Lawrence Cann, coach of Art Works Football Club, which represented the U.S. in the 2005 Homeless World Cup, attends the screening at Sundance. In spite of his circumstances, Alex has a wonderful wit, an unshakable confidence and undeniable passion for the game of soccer. Alex is also quite skilled as a player, and it is easy to see his calm and composure when he has the ball at his feet. He states his goals clearly and definitively: make the team; play well at the tournament; get discovered by a professional team; change his life forever with the game. He makes the team and is named the captain, but his tournament experience is filled with drama. In a week's time at the Homeless World Cup, Alex enjoys thrilling victories, some difficult defeats, receives a suspension from his coach for poor in-game decisions, and revels in a hero's reception upon his return to his village. I also was impressed by the strength and determination displayed by Damien from Ireland. Damien's journey begins with his daily struggle with recovery from heroin addiction. He hears about the opportunity to try out for Ireland's team via the treatment center and decides he wants to make a go of it. He suffers from anxiety as a result of his drug abuse, and he knows it will affect his tryout for goalkeeper. Damien openly says making the team would be a very significant moment for him and everyone attached to his life, because he has not been involved in anything positive for many years, and he has been a tremendous source of heartache to his mother and family. His mother expresses her wish -- with words that clearly ring with past pain and renewed hope -- for her son to have something "good" come of his efforts. When Damien talks about playing soccer before his addiction, you see his eyes shine with that recognizable glee from the days of his youth. He's noticeably nervous playing goalie and can be easily agitated, but you see extraordinary glimpses of agility and uncanny anticipation when he is in goal. When he makes the team, the Irish homeless squad is given a rousing send-off during halftime of the Irish national team's match vs. Holland in front of thousands of supporters. Damien beams with the pride of knowing he's now a member of Ireland's national side, too. Damien encounters some very difficult moments at the tournament. He faces one of his personal demons, self-doubt. He also forgets to bring his recovery medication (methadone), which helps him manage his addiction. After establishing himself as one of the standout keepers in the tournament, Damien comes face-to-face with his longtime internal foe at the most inopportune time. A 50-50 ball would be the way a soccer enthusiast might describe these players' chances for achieving their goal of making the tournament; it could go either way. Soccer players are taught to never go into a 50-50 ball situation without clear intentions to win the ball from your opponent. No hesitation. Clearly, each of the featured players in this film knew that to win this 50-50 moment, the same attitude would be required: Go hard and win. As I watched the seven featured stories play out on screen in the Park City Library Theater, I thought of the players I met when I traveled to the tournament in South Africa. I have had the great fortune to directly support the efforts of one of the participating teams for the past two Homeless World Cup tourneys -- Uganda's Team Gomo Tong. The stories of the Ugandan side and the other 48 national teams in Cape Town are similar to the journeys featured in "Kicking It." Seeing those unmistakable looks of joy on the big screen instantly reminded me of what I'd seen many times when the players of Team Gomo Tong accomplished a long-sought goal. The look is magical, whether it comes after a victory, following a hard-fought loss or when the players viewed the ocean for the first time. Now, with "Kicking It" airing on ESPN tonight, the impact of the Homeless World Cup will be recognized on a larger scale. Greater awareness and support can ensure the tournament never has to worry about relegation.